Sonja Persram, BSc, MBA, LEED® Accredited Professional and President of Sustainable Alternatives Consulting Inc., combines her commitment to the environment and community, her education in business and psychology, and her business management acumen to provide strategic policy and market research alternatives for her clients. Ms. Persram develops facilitative relationships with a broad spectrum of stakeholders and is comfortable consulting on green matters with clients both knowledgeable and unacquainted with the issues. She has a wide-ranging capacity for analysis, problem-solving and implementation of complex sustainability projects. She gets to the heart of topics and is known for accomplishing much within given timelines. Ms. Persram conducts green building research and implementation projects for key industry proponents, in policy, regulatory issues, program, technologies, process and market research. She has been leading a multi-sectoral collaboration to support development of a Property Assessed Payments for Energy Retrofits (PAPER) program. PAPER is the name given to the financing concept using modified Local Improvement Charges (LICs) for home energy improvements that was the subject of three reports she wrote for the David Suzuki Foundation in 2009 - 2011. This work included contributing questions and analysis to a City of Toronto market demand study on this concept, conducted by Ipsos Reid. She led a study on regulatory barriers to three EQuilibrium™ projects for Canada Mortgage and Housing Corporation, with study Report and Research Highlight co-author David Eisenberg, and with Peter Kettenbeil. Ms. Persram is co-author of a chapter on the Integrative Design Process for Enhancing Building Performance, a textbook published by John Wiley & Sons in March 2012. She is co-author with David Eisenberg (lead) of the Development Center for Appropriate Technology, of Code, Regulatory and Systemic Barriers Affecting Living Building Projects for Cascadia Region Green Building Council. She conducted the U.S. segment of an international Canada Mortgage & Housing Corporation study of policy instruments facilitating sustainable buildings, for project lead Nils Larsson, MRAIC, Executive Director of the International Initiative for a Sustainable Built Environment, whose members are in over 20 countries. A market research professional, Ms. Persram was lead author on two projects for the Canada Green Building Council: Marketing Green Buildings to Owners of Leased Properties, and Marketing Green Buildings to Tenants of Leased Properties, with co-authors Nils Larsson and Mark Lucuik, P Eng., LEED® AP and CaGBC Director. She participates on projects for Jerry Yudelson, PE, LEED® AP, among which she conducted U.S. and Canadian retail case studies for an International Council of Shopping Centers report he authored. Mr Yudelson, a leading U.S. authority on sustainable buildings, industry management consultant, strategic marketing expert, and Chair of Greenbuild for 2004-08, interviewed Ms. Persram for his 2008 publication, The Green Building Revolution and also asked her to preview his 2007 book Green Building A to Z.
Ms. Persram conducted a study of U.S. and Canadian energy, water and facilities management markets in writing Green Buildings: A Strategic Analysis of the North American Markets for U.S. research house Frost & Sullivan, published in 2006 and still priced at $6,000 US. She participated on the City of Toronto’s Green Development Standard Working Group, and was research consultant for Breathe Architects for five years. Principal Architect Martin Liefhebber’s practice embraces high-performance sustainable building principles, practices and technologies. She facilitated connections between green building practitioners and faith community leaders toward the development of greening guidelines for faith buildings, for Faith & the Common Good's Greening Sacred Spaces program. Among other client work, Ms. Persram has created public awareness presentations on Energy, Transportation and Water technologies for Today’s Environmental Solutions, and other projects. 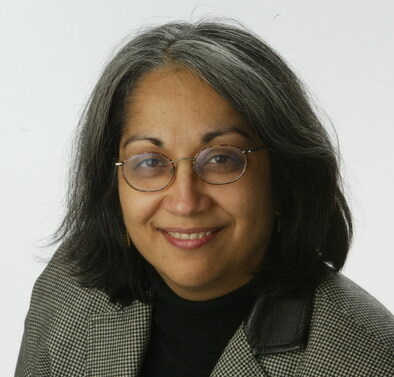 She was a Contributing Editor and Green Syndicated Columnist for www.iGreenbuild.com, has authored several published editorials for Canada's largest daily, The Toronto Star and was a member of the newspaper’s 2002-03 Community Editorial Board. She has written marketing copy for websites as well as other corporate and ENGO promotional materials. Ms. Persram served on the Canada Green Building Council Greater Toronto Chapter's Business Development Committee and the U.S. Green Building Council's Social Equity Task Force. She was awarded a journalist's fellowship tour of Germany in 2010 by the U.S. Green Building Council and the German government.